And suddenly appeared Episode 4! 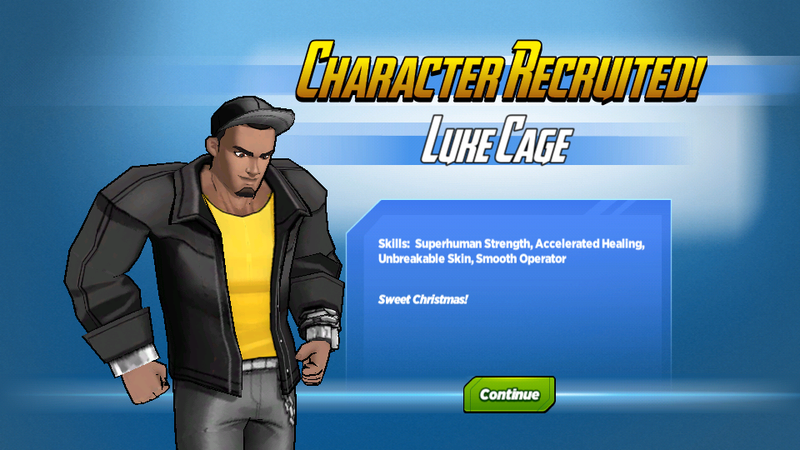 How do I recruit Luke Cage? Once you reach the quest ""Get Indestructible!"" you will be able to recruit Luke Cage. 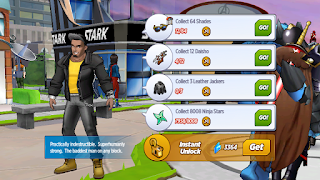 You must unlock Iron Fist before recruiting him. He must be completely unlocked by the end of the event or he will disappear from the game at that time. How do I recruit Punisher? Once you reach the quest ""Unhinged!"" 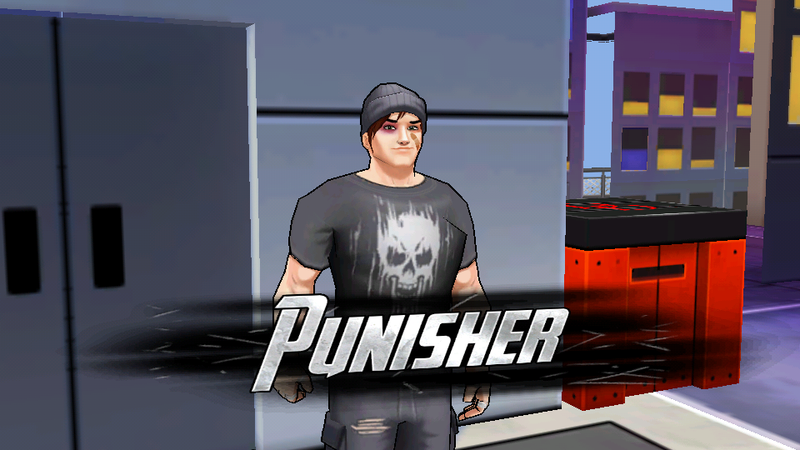 you will be able to recruit Punisher. You will also need to unlock Luke Cage's Dog and from The Devil's Due. 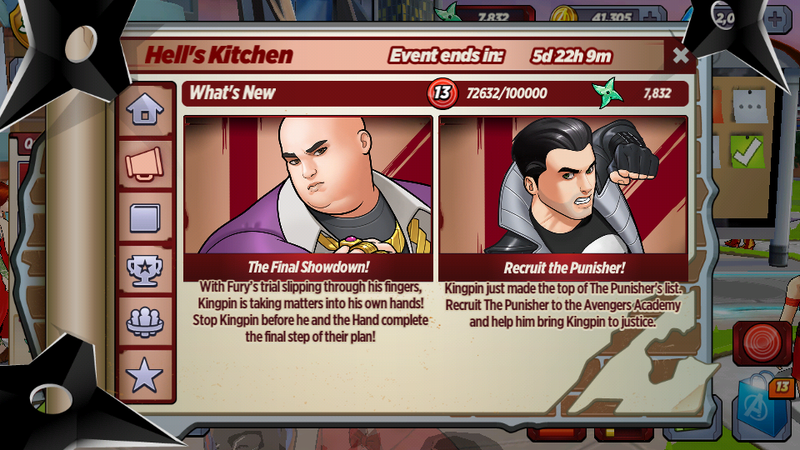 Once you have defeated Kingpin 6 times, you can recruit Punisher from The Devil's Due! What do the different streaks for Kingpin mean? 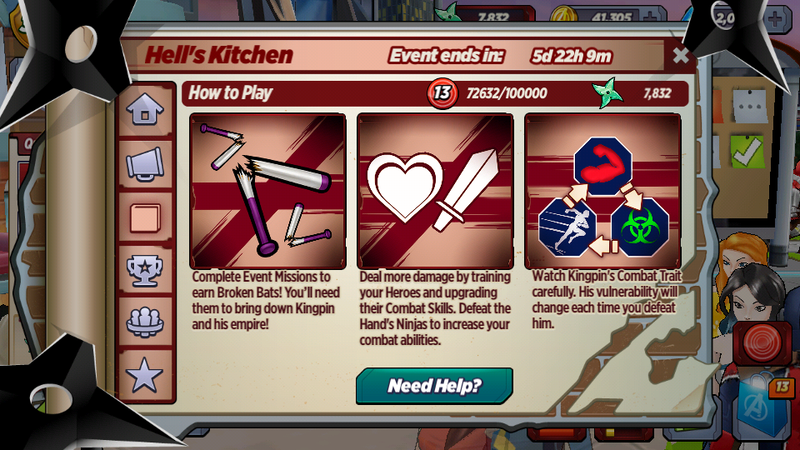 Defeating Kingpin will allow you to unlock Luke Cage and Punisher, as well as Rank 5 upgrades for Daredevil, Hellcat, Iron Fist, Luke Cage, and Punisher! 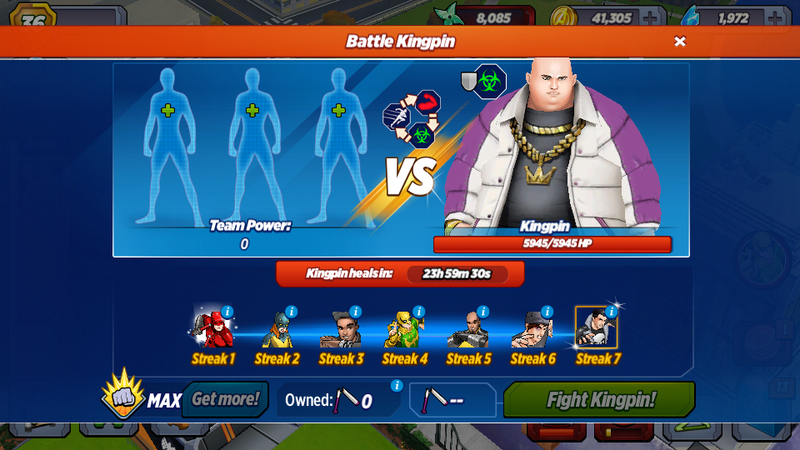 Kingpin's health, but not his streak, will reset when his timer reaches 0. Now onto the new quests! Daredevil: I'm giving you one last chance to tell me what you and the Hand are planning. Daredevil: If you don't tell me, I can't let you walk out of here. Kingpin: You think so small, Daredevil. Hell's Kitchen is just the beginning. It's nothing but a gateway to other worlds. The Hand are going to open that door for me, and those worlds will be mine. Daredevil: Since when are you interested in portals? Kingpin: Since I realized that if I'm truly going to compete with men like Nick Fury, I need all of the tools at their disposal. I've acquired my own superhumans. Now I need access to other dimensions. Daredevil: Who are you really working with? Kingpin: Someone who understands power and the art of the deal. Better the devil you know than the devil of Hell's Kitchen. Loki: I feel compelled to give you credit, Patch-Man. Your scheme worked to perfection. 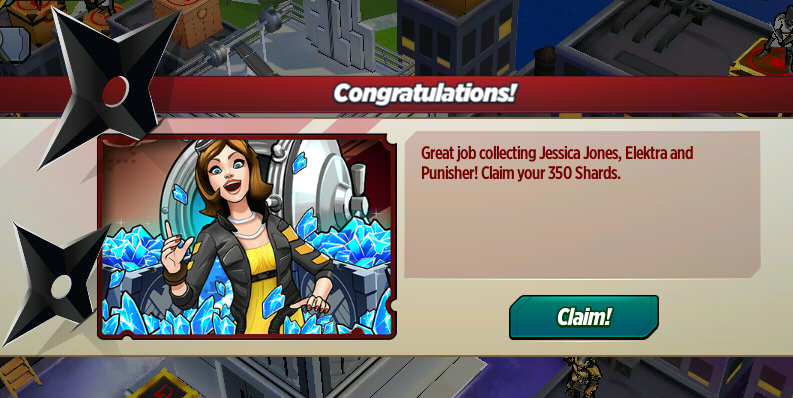 Nick Fury: Couldn't have done it without you. Loki: Obviously. In any case, we've successfully manipulated King Potato and his ninjas into revealing their true intentions, and engaging in a battle they cannot win. Nick Fury: Not to mention recruiting some of the toughest superhumans in New York, and using the trial to reach thousands more across the galaxy. Loki: And now I'll use my sorcery to curse the ninja's occult magic, giving me complete control over the dimensional rift they've been attempting to open. Elektra: What's wrong with you, Matthew? Your friends are free, and Kingpin and the Hand are at our mercy. I'd expect you to have that dumb adorable smile you get after every successful mission. Elektra: I feel that way sometimes. Try assassinating someone. Daredevil: That's your solution to everything. Elektra: Don't knock it till you've tried it. WORLD NEWS: HELL ON EARTH?! 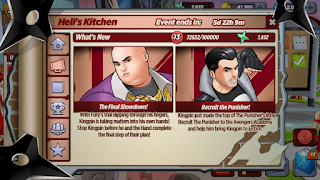 Great news from Avengers Academy as the heroes have exposed Kingpin as a criminal, and continue to defeat him in combat, and weaken his hold on Hell's Kitchen. Jessica Jones and Luke Cage intend to establish a joint investigative and protective agency aimed at keeping their neighborhood safe, and helping those in need. 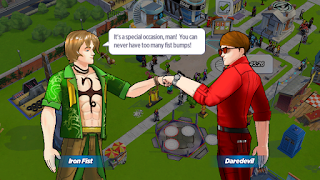 Director Fury's approval rating is at an all-time high, and he continues to encourage young superhumans across the universe to join Avengers Academy. Matt Murdock and Loki have agree to use their combined courtroom talents in future trials to defend wrongly accused superhumans, establishing the offices of Laufeyson and Nelson and Murdock. If some extra-dimensional demon shows up and ruins my homemade ladybug costume, I swear I'll flip this desk over. Punisher: I was never working for you. I made a deal with Fury to keep an eye on you so you couldn't run away. Kingpin: What could Fury possibly give you that I couldn't? Punisher: A list of more important villains to take out when I'm done with you. 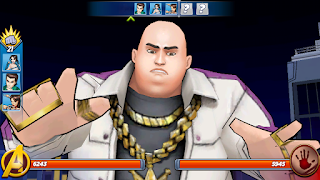 Kingpin: Would you consider allowing me to attend Avengers Academy if I prove myself to be sufficiently reformed? Pepper Potts: I would, but Director Fury has you on his blacklist. 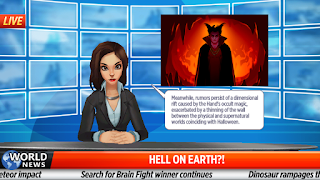 You honestly have no idea how evil you have to be to get banned from Avengers Academy. Kingpin: I suppose I should be honored. Pepper Potts: You should also get used to the idea of living in a cell. Kingpin: Your ninjas are even worse at protecting me than they are at completing our objective. Hand Ninja Boss: Your objective was never ours. Our Demon Lord wanted to distract the heroes long enough for another to forge a doorway to this world. It's finished. Kingpin: They were making deals behind my back?! I'm the mastermind! This is my operation! Hand Ninja Boss: Do I seriously need to explain to you why you shouldn't trust Demon Lords? Loki: I'm going to miss you, King Potato. Your ceaseless scheming reminds me of myself when I was young. Kingpin: How old are you? Loki: A God of Mischief never tells. 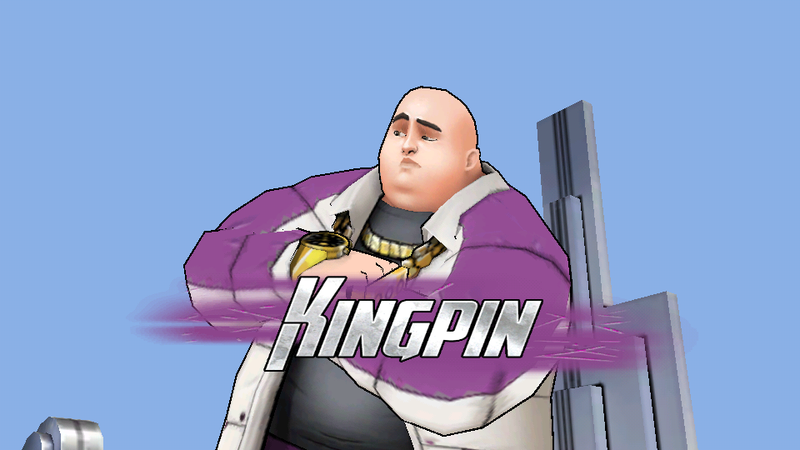 Kingpin: What are you doing here? Elektra: I like to finish off my enemies. That final look of pain and hopelessness gives me life. Kingpin: The Hand betrayed us both. I can help you get your revenge. Elektra: Why would I take your help when I could take your life? Luke Cage: I'm freeing Punisher. Iron Fist: C'mon, man. Remember when he stuck my head in the toilet? Iron Fist: It wasn't funny. Luke Cage: It was kinda funny. What wasn't funny was when we all fought after. We'd probably still be fighting if Jess didn't walk in and knock him out. Iron Fist: And that's the guy you wanna set free? Luke Cage: Punisher doesn't deserve to be locked up. And Kingpin most definitely deserves to have his head in the toilet. 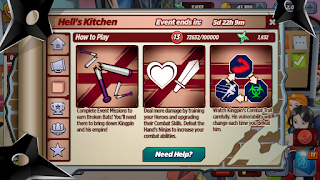 Punisher: I'll thank you for freeing me when I'm finished with Kingpin. Luke Cage: No you won't. N.B. 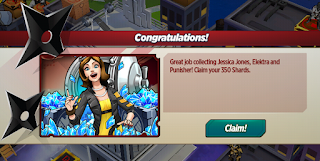 DON'T FORGET YOUR FREE SHARDS IF YOU GOT JJ, ELEKTRA & PUNISHER!!! Daredevil: I'm glad you're coming around. 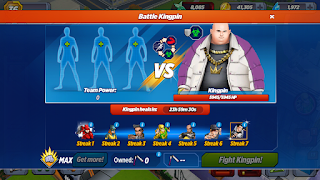 We'll need your help to take down Kingpin for good. Punisher: Get me what I need, and I'll make sure nobody ever sees Kingpin again. Daredevil: You're gonna kill him? Daredevil: I think I finally figured out an angle to help us win this trial, and get the public behind you. I just need to make sure Loki doesn't have the last word. Nick Fury: Good luck with that. Daredevil: Why do I get the feeling you don't even care if we win? Nick Fury: Because we already won. It's more about putting on a good show. Loki: Do you swear that everything you've said during this trial is the truth, the whole truth, and nothing but the truth? Loki: And isn't it true that we've secretly been working together since the beginning of this ridiculous mock trial? Loki: And isn't it also true that all of this has been an elaborate diversion to distract King Potato while we uncovered his scheme with the ninjas, and freed his superhuman prisoners? Nick Fury: His name is Kingpin, but besides that, yes. Loki: And now that we've uncovered and foiled their plans to summon an extra-dimensional demon to do their bidding, are you prepared to admit that Loki Laufeyson is not only the God of Mischief, but the King of All Lawyering? Nick Fury: Sure, why not? Loki: Case closed! And I'm keeping these golden loafers! What do you think of Episode 4 so far? 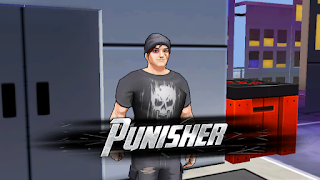 Are you gonna try for Punisher?